Within the walls of The Ogden, an iconic 21-story condominium tower in the heart of downtown Las Vegas, residents enjoy luxury living, with beautifully appointed residences, spectacular views, first-class amenities and resident-only activities led by a lifestyle director.But one of the biggest selling points is also what is beyond the community’s building: more than 150 restaurants and eateries, many that rank among the city’s best and scores within walking distance of The Ogden. 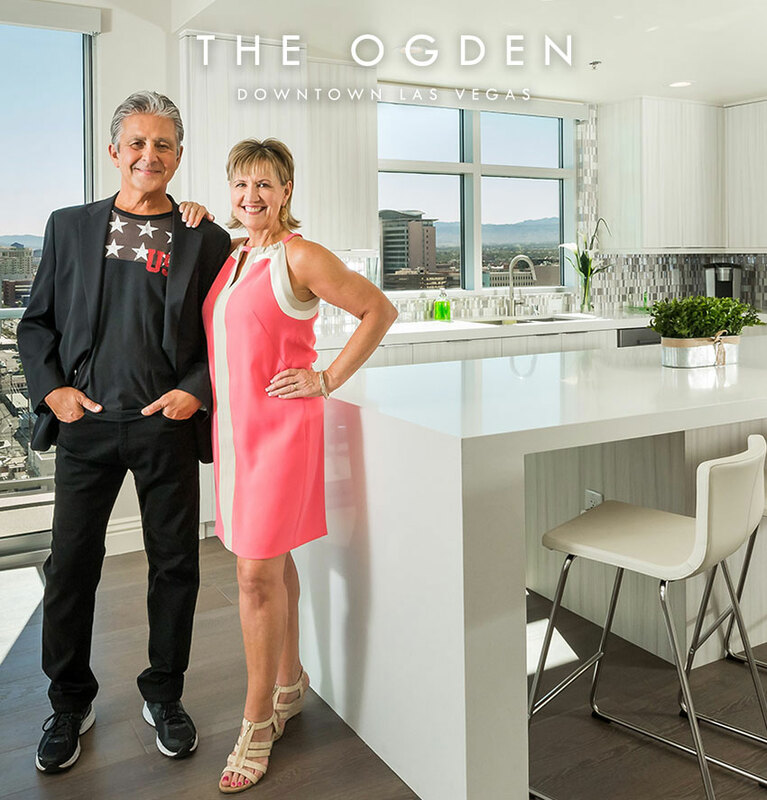 “It’s common for residents at The Ogden to become ‘foodies,’ if they weren’t already, simply because of the abundance of dining options that surround them,” said Uri Vaknin, a partner at KRE Capital LLC, whose company, in partnership with Dune Real Estate Partners, bought a collection of high-rise communities in Las Vegas as DK Las Vegas in 2013. Directly across the street from The Ogden is Fremont East Entertainment District, which offers Ogden residents more than a dozen restaurants and bars all within a few blocks. 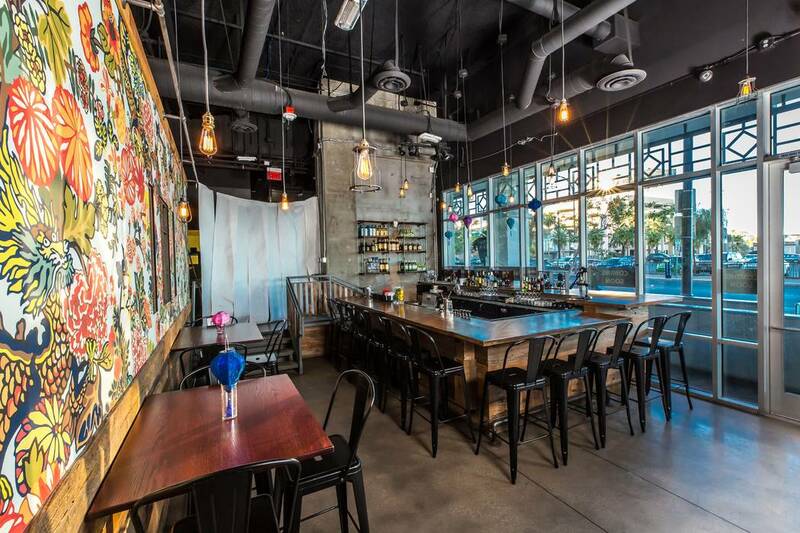 Residents can indulge in La Comida’s Mexican food, bar hop among The Griffin, Beauty Bar and Commonwealth or experience the newest gastropub, Eureka!, a great spot for shareable food, craft beer and artisan liquor. East of The Ogden is Downtown Container Park, an open-air shopping center filled with boutique retail shops, family-friendly entertainment and restaurants such as Downtown Terrace, Cheffini’s Hot Dogs and Big Ern’s BBQ. Other eclectic dining choices in the area include Therapy, known for its progressive American cuisine; Carson Kitchen, a popular gastropub that makes its own bacon jam; Bomb Tacos, popular for flavor-packed street tacos; Evel Pie, the pizza joint with a rock ‘n’ roll vibe and Evel Knievel memorabilia; and Eat, Chef Natalie Young’s breakfast-and-lunch joint that features classic dishes with a modern twist. Flock & Fowl, on the ground floor of The Ogden and best known for its famous “perfect plate of chicken rice,” offers a wide variety of Asian and globally inspired dishes. As the demand for Asian cuisine continues to rise, residents have several of them right at their fingertips, from Le Thai on Fremont Street, to Bocho Sushi on Sixth Street and Le Pho, a Vietnamese restaurant that opened this summer at Juhl, a low-, mid-, and high-rise residential community a few blocks from The Ogden. Recently renovated downtown hotels, such as The Plaza and Golden Nugget, provide direct access to the Fremont Street Experience and are home to eateries such as Vic &Anthony’s, Pop-up Pizza and Oscar’s Steakhouse. El Cortez, another iconic downtown Las Vegas destination, features Siegel’s 1941, a vintage-inspired restaurant, featuring a round-the-clock menu and a carefully curated wine and cocktail list. All Ogden residents enjoy the exceptional benefit of round-the-clock concierge service. The friendly and knowledgeable concierge team is happy to take care of errands, including dropping off and picking up residents’ dry cleaning, flower and gift ordering, making dinner reservations, and booking nightlife accommodations and show tickets. Other unmatched amenities include 24-hour security, fitness center, a rooftop pool, Sky Deck, social lounge and a social calendar full of resident mixers, from cocktail and movie outings to brunches and paint nights.